Vancouver Canucks general manager Jim Benning said Wednesday he will continue to look to move forward Sam Gagner but declined to reveal if any clubs have expressed interest in the winger, who was sent back to the AHL on Tuesday. “I’m not going to comment on discussions we’ve had. It’s not fair to the other teams,” Benning told The Vancouver Province. Benning did add, however, that he told Gagner he'd try to find a team in the NHL who would be interested in adding the winger, and noted he could benefit from another player's bad luck. 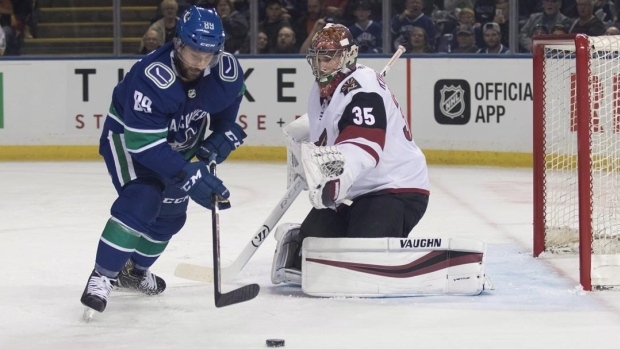 Gagner made his season debut for the Canucks last month after being assigned to the AHL to start the year and posted a goal and three points in seven contests. He was loaned back to the Toronto Marlies this week as the team cleared a roster spot for the return of Jay Beagle. The 29-year-old has seven goals and 15 points in 15 games with the Marlies this season. He carries a $3.15 million cap hit through next season on the three-year, $9.45 million contract he signed with the Canucks in 2017. Vancouver (11-16-3) has lost four straight games and will host the Nashville Predators on Thursday.